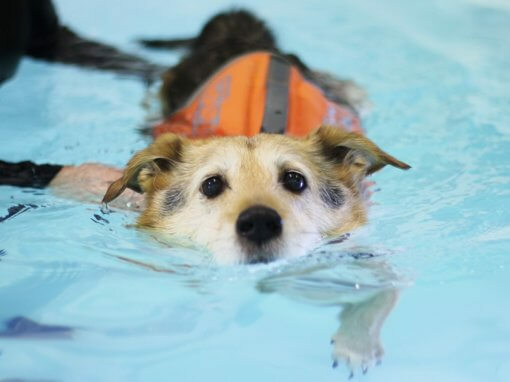 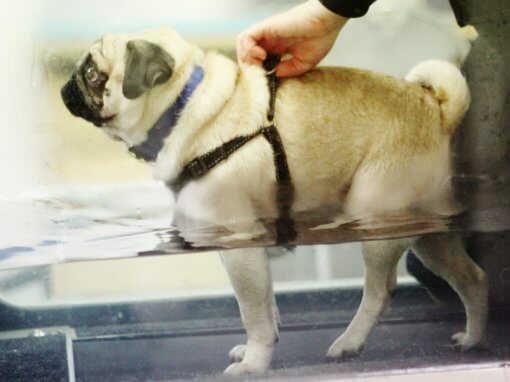 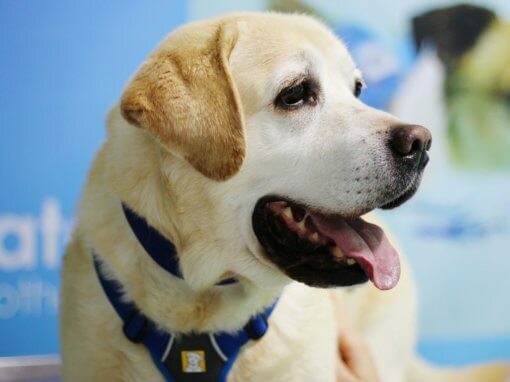 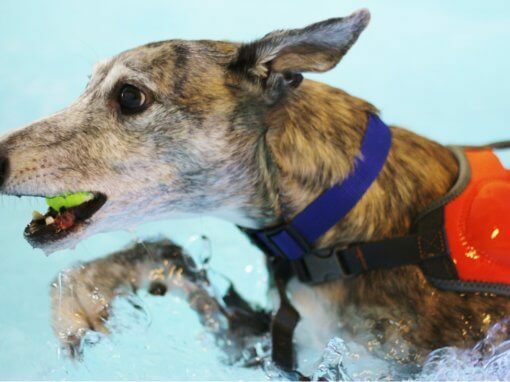 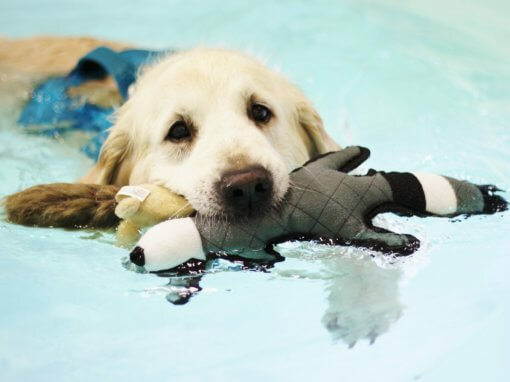 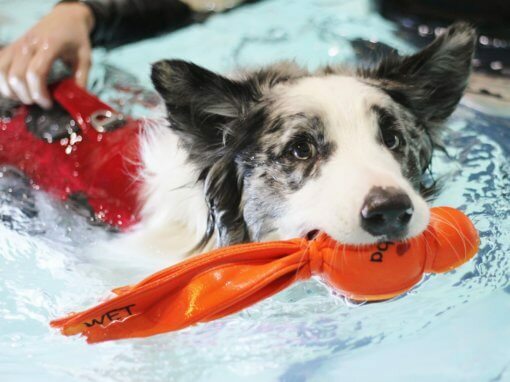 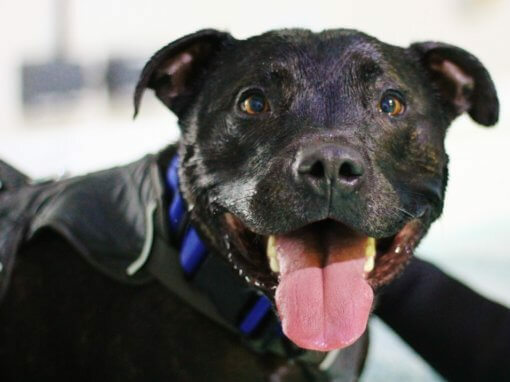 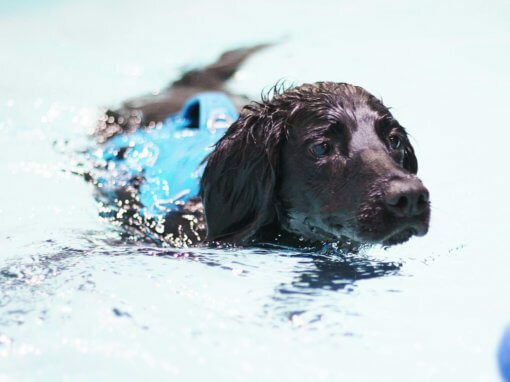 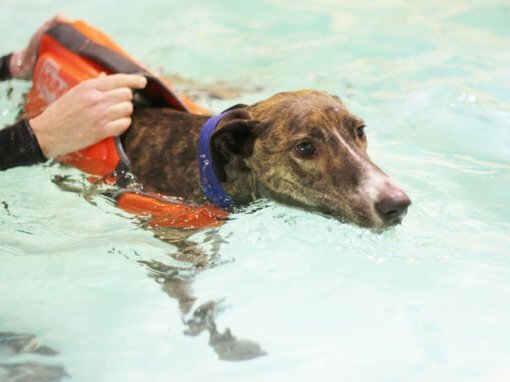 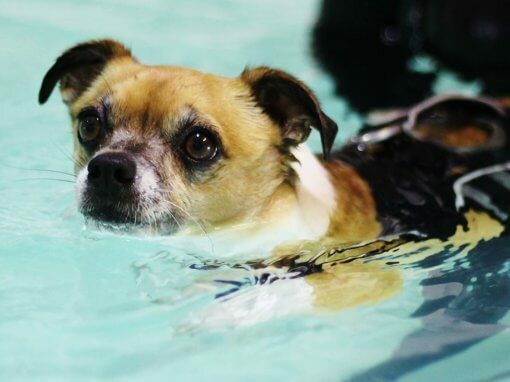 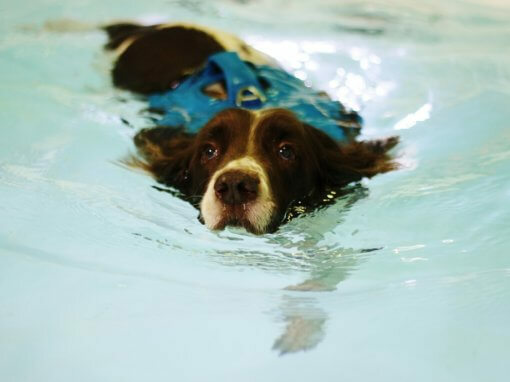 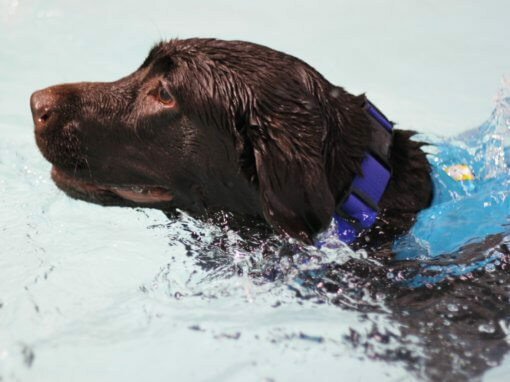 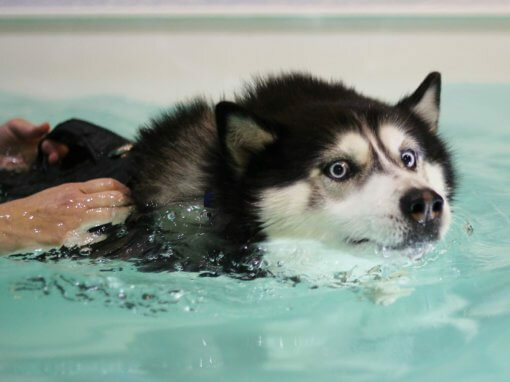 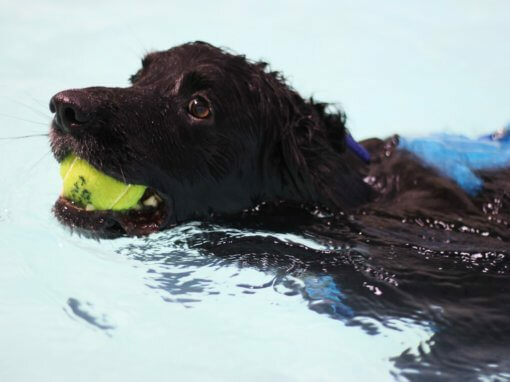 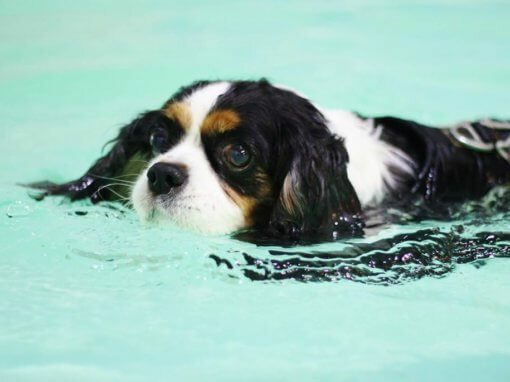 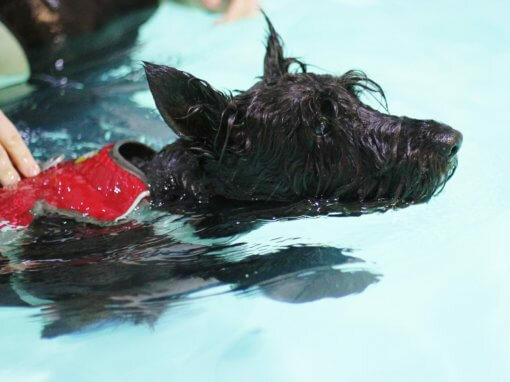 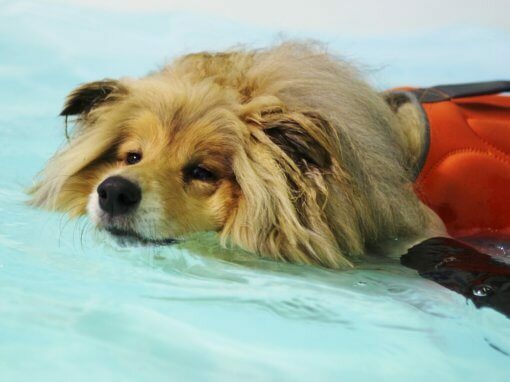 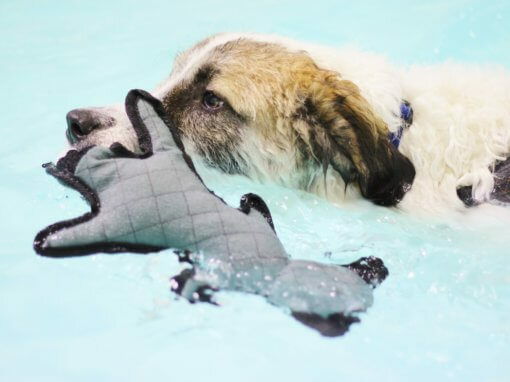 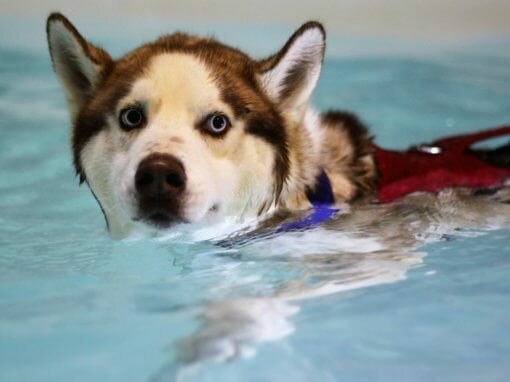 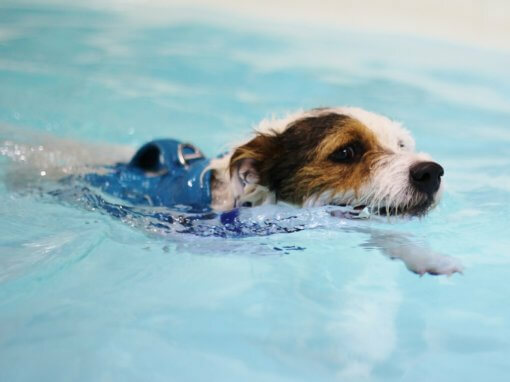 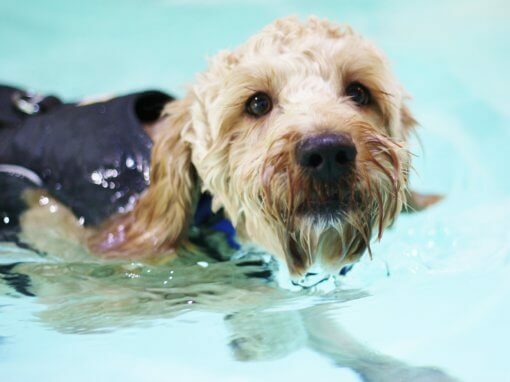 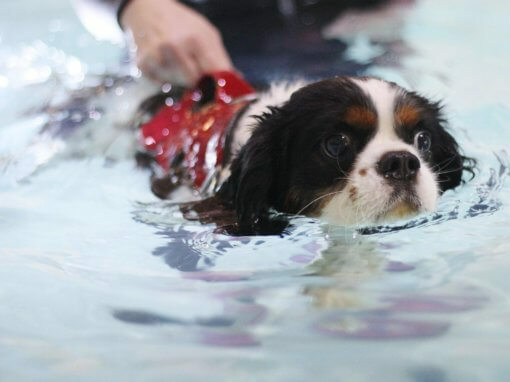 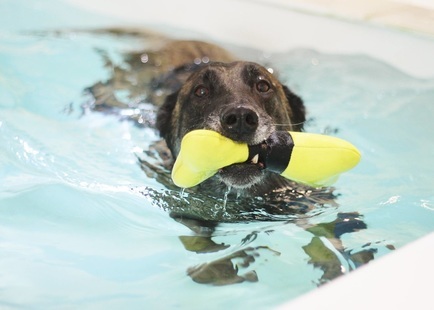 Snowie started to attend Bluewaters Canine Hydrotherapy Centre three years ago as she was suffering with osteoarthritis, especially in her left forelimb. 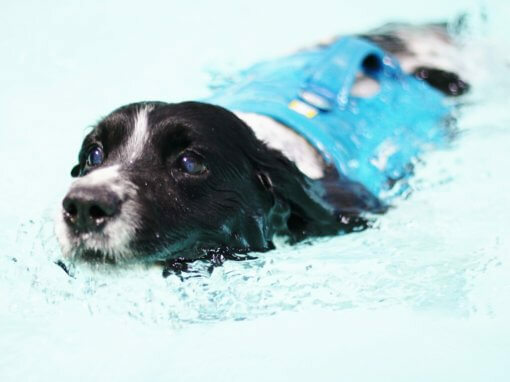 Snowie had swum in a pool before coming to Bluewaters so it didn’t take us long to get her enjoying her sessions with us. 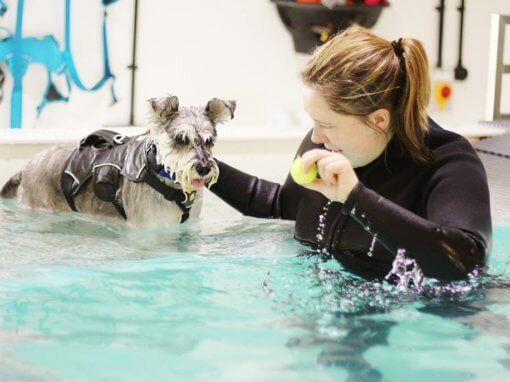 Snowie has always been a little lazy on her hind limbs so hydrotherapist Julie has to tickle her feet at times to stimulate her to extend them further. 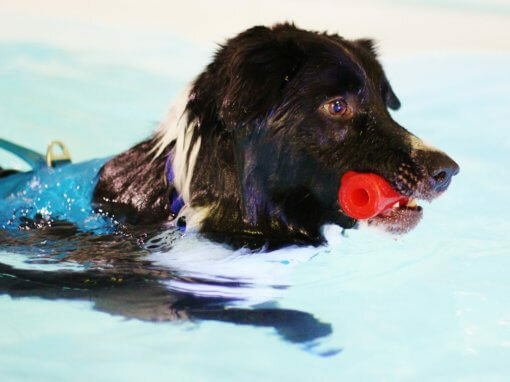 However she generally swims well following her favourite toys and will put a little more effort into extending her hind limbs then! 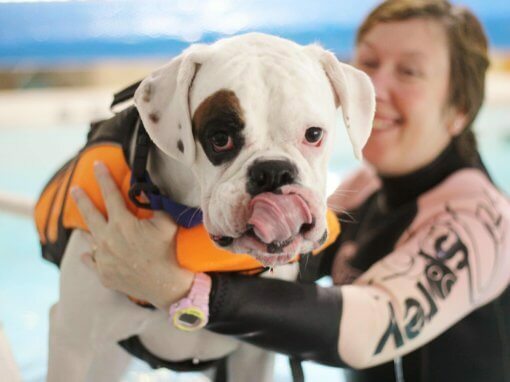 Snowie has benefited greatly from her sessions at Bluewaters and her muscle mass has increased on all four limbs since the start of her treatment. 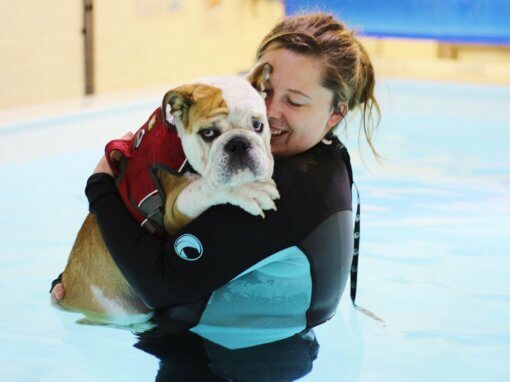 She has also lost weight and over 10cm off her waist! 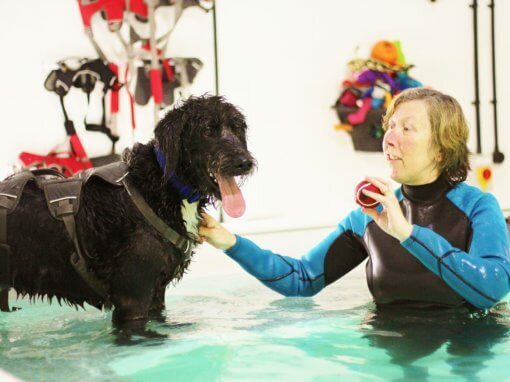 She continues to attend the centre fortnightly for maintenance sessions. 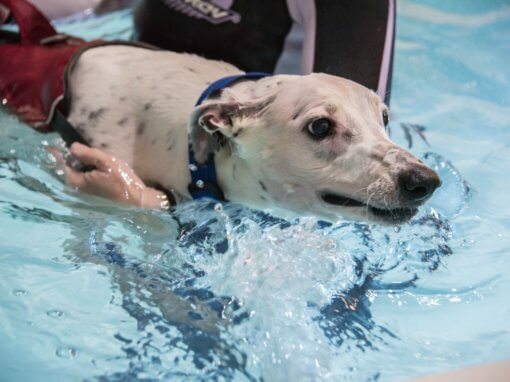 Snowie‘s owners have been really pleased with her progress and feel that her hydrotherapy treatment has enabled her to continue to have a good quality of life. 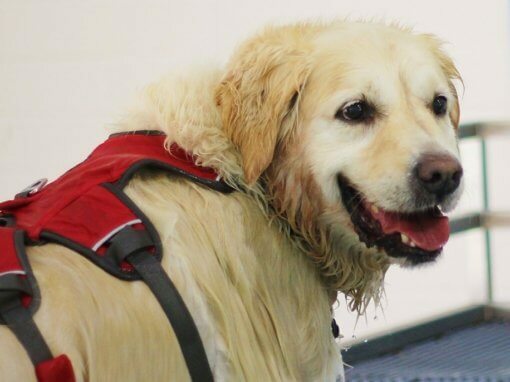 Snowie can be a little stiff after long walks and if she overdoes things exercise wise but generally is able to still enjoy her walks and playtime on the beach on holiday which she loves. 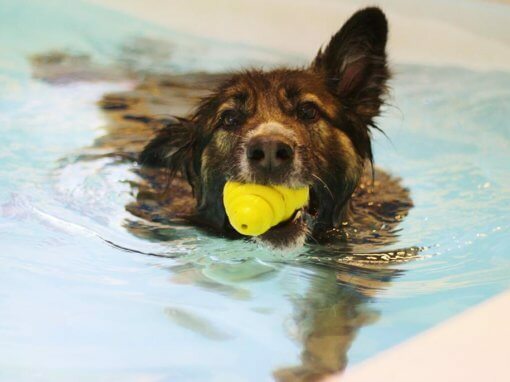 Snowie is the most affectionate old lady and we love to have her here at Bluewaters, she is quite a character and likes everything just so, including where her owners stand around the pool! 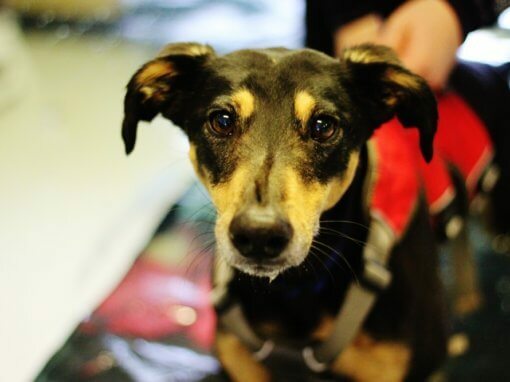 We have to make sure we give her a fuss as soon as she arrives otherwise she doesn’t half give you a telling off! 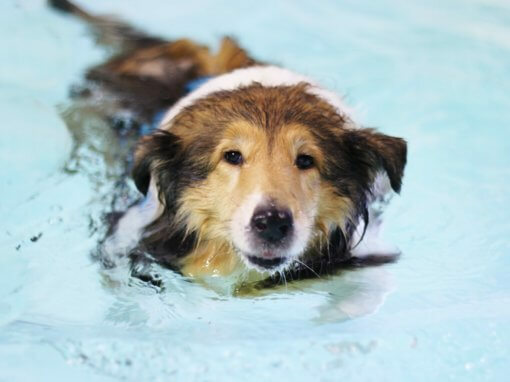 She swims laps around the pool and we have to remember to stroke her as she goes past as that’s part of her routine too! She is one of our seniors here at Bluewaters but she certainly makes sure she makes her presence known and we are extremely fond of her. 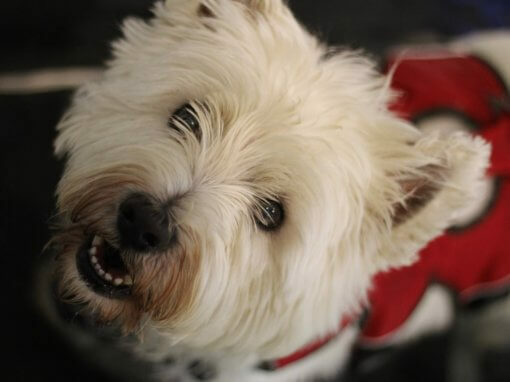 Snowie had issues walking. 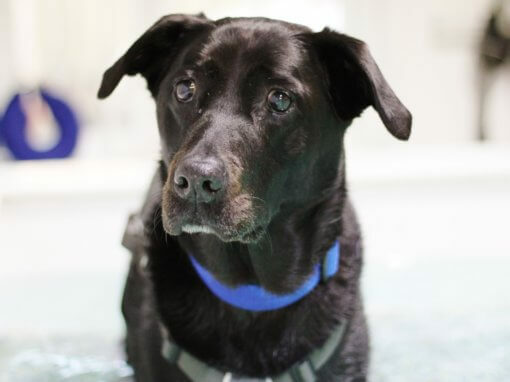 She has arthritis and hip dysplasia that was causing her problems from the age of seven plus. 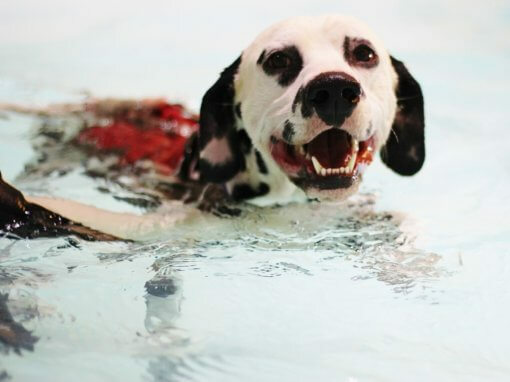 Swimming has helped Snowie hugely over the years. 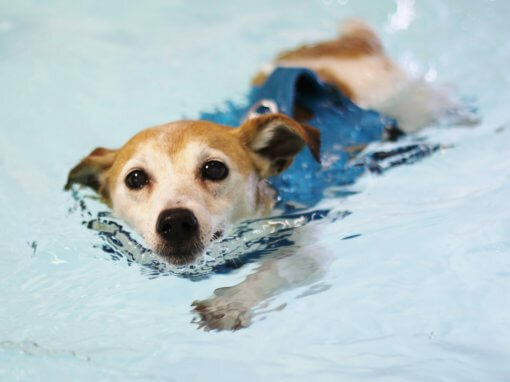 It has extended her life and the quality of her life. 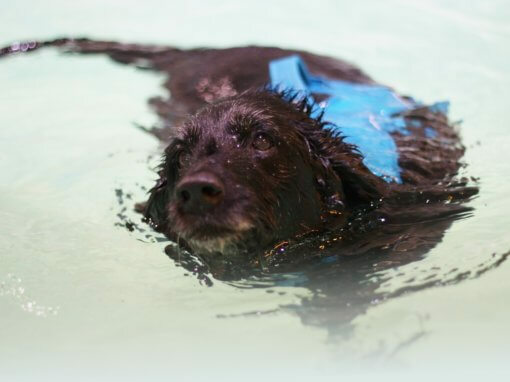 At 13 she is now slower on walks but the swimming makes a real difference to her fitness and health. 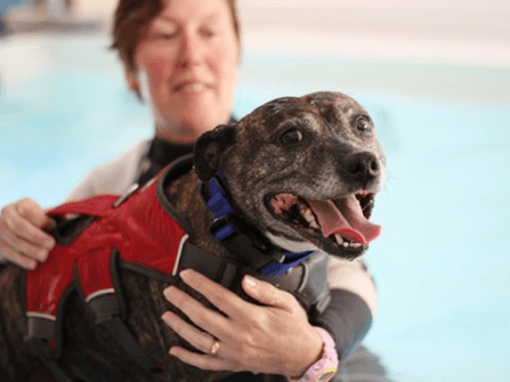 Love Julie, Laura and Holly – they make the sessions fun for both Snowie and her owners!